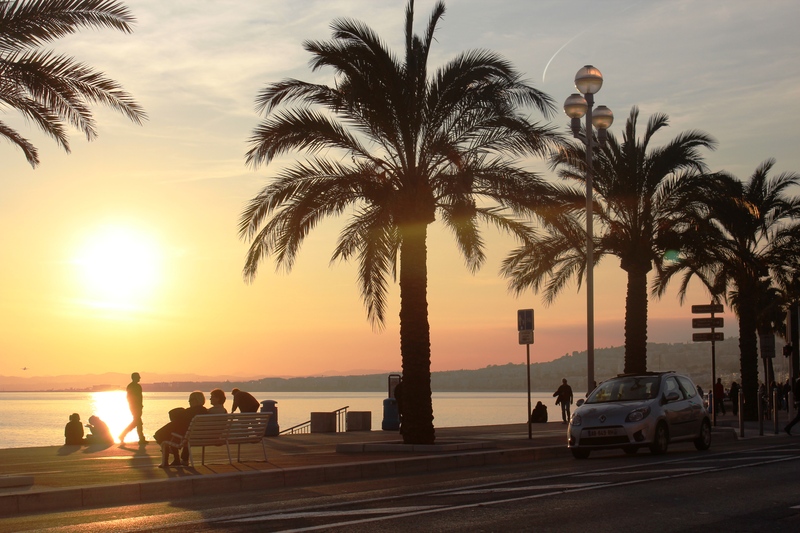 The famous Promenade des Anglais is lined with palm trees and is the perfect place to see every side of Nice. The promenade is popular all day everyday with those who come to stroll, power walk, run, rollerblade and cycle as well as those who just come to watch everyone else! There is a reason the French call this the Cote d’Azur so make sure you pause to marvel at the turquoise water. Hang around until evening and you are likely to be rewarded by a magnificent sunset – shades of red, orange and even purple fill the sky. For the sun-worshippers, you can get a lounger at one of the many many beach clubs or just throw your towel down on the public beach – there is space for everyone! 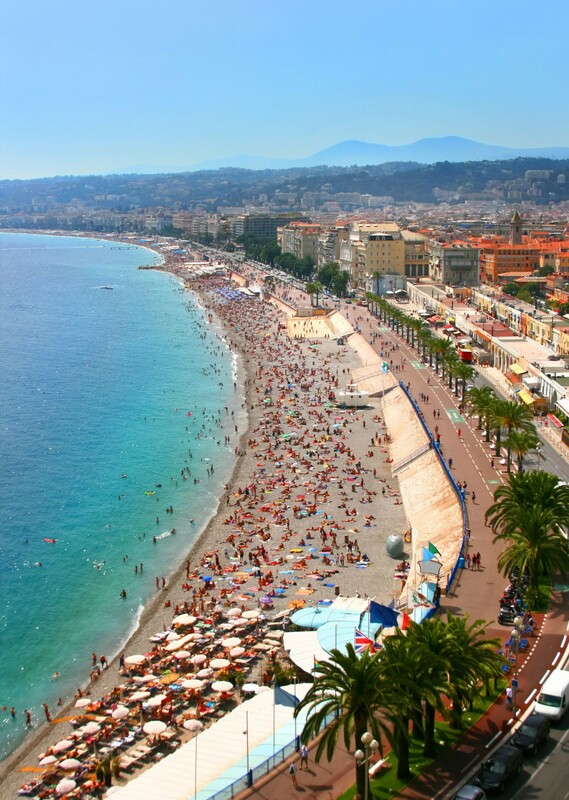 The Promenade des Anglais was built in 1833 and an apartment on the ‘prom’ still offers you front row seats to one of the best views in the world as well as easy access to the beach and the Old Town – just perfect. 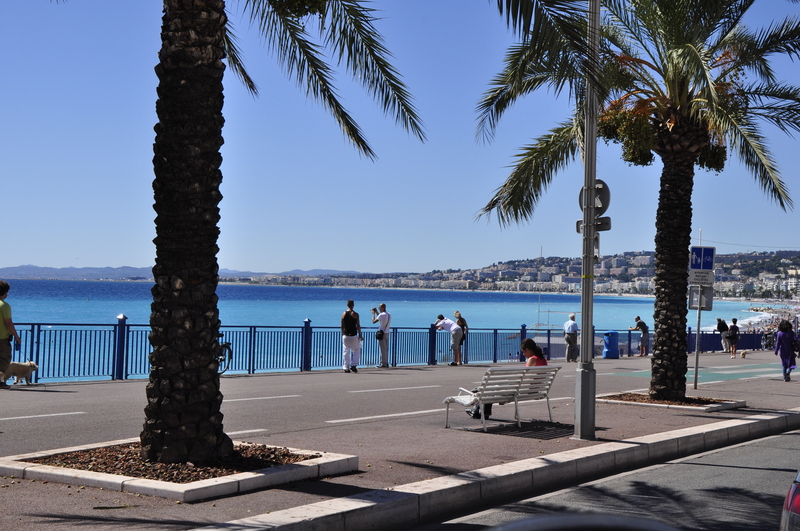 The Nice Promenade is one of the best known seafronts in the world. From John D. Rockefeller Jnr at the turn of the 20th century to Elton John and many more celebrities today, the Promenade des Anglais continues to mesmerise visitors with its seven kilometres of walkway along the Baie des Anges, tall palm trees and elegant hotels. 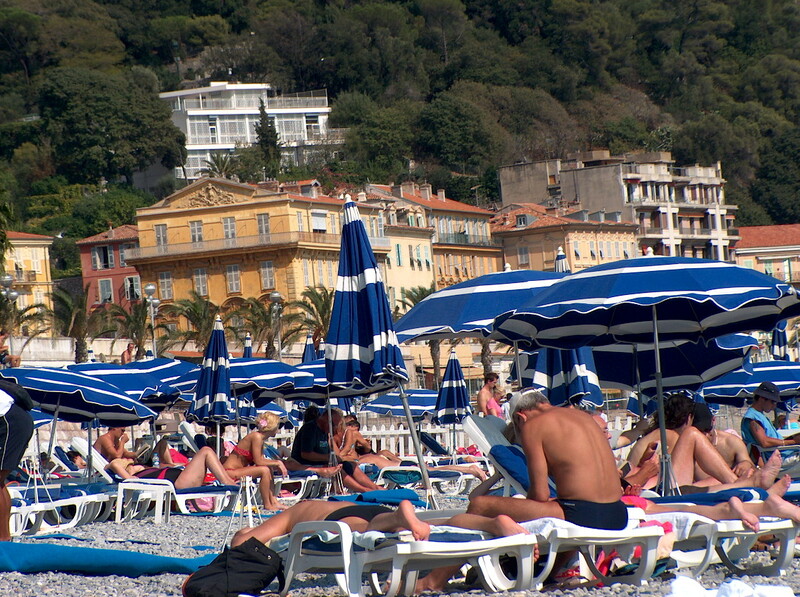 Commissioned by an Englishman in the middle of the 19th century, the construction of the Promenade des Anglais heralded the arrival of the British aristocracy on the French Riviera. 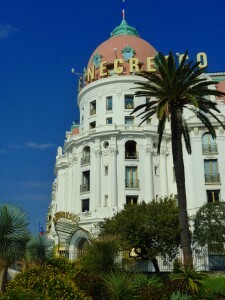 They were joined by the Russian and European elite at the turn of the 20th century, all attracted by the beautiful light and exceptional climate of the appropriately-named Côte d’Azur. 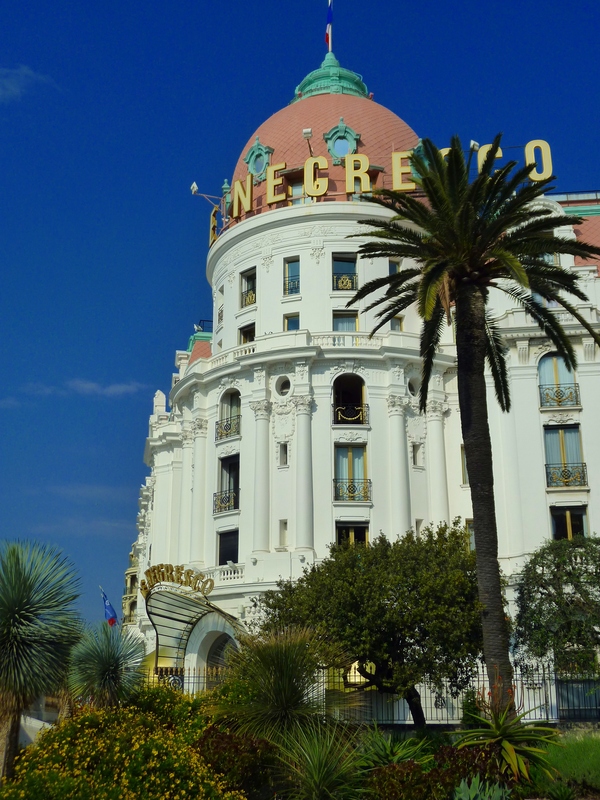 The Negresco Hotel on the Promenade des Anglais is the enduring symbol of the elegance and class that the French Riviera represents today. The pink dome, typical of the ‘Belle Epoque’ period, was commissioned by the architect Gustav Eiffel. The interior of the hotel is reminiscent of a museum, with numerous famous artworks and statues. Check out all our holiday lettings in Nice Promenade here. Or go directly to our smart studio MASSENET which can sleep up to three people. Sit on the balcony of gorgeous QEU apartment and enjoy the exeptional view over the Mediterranean Sea. Twenty meters from the beach and the Cours Saleya is BOSIO apartment in a calm and typical building. PEBBLES is a spacious apartment with sea view, AC and balcony, it really has all you need! If you are looking for something real special click on OPERA. We are talking private rooftop terrace with a view over the sea and whole Nice!